The Recaro Monza Nova 2 Reha is a special needs car seat which has been specifically designed to cater to children with various seating needs, such as those with Down’s syndrome, cerebral palsy and autism. The Monza aims to provide postural support whilst maintaining the high safety standards expected from car seats. This car seat is for children who weigh between 15 and 50kg. The Monza comes as standard with a 5 point harness, head padding, lateral trunk and side supports, crotch padding and an abduction block. The padding can be removed so as to provide an element of customisation to ensure each child’s individual needs are met. The option of an ISOFIX swivel base enables the car seat to rotate, allowing for an effortless transition to and from vehicles. We understand the importance of ensuring your car seat lasts as long as possible; therefore, the Monza is fitted with an integrated height-adjustable back/headrest, offering up to 170mm of growth, which enables the car seat to grow with your child. To further cater to your child, the headrest is fitted with an internal air cushion to allow for extensive angle adjustment for ideal head positioning. An integrated speaker system is also contained in the headrest, with a cable to connect to your personal media device, which can then be stored in the pocket on the side of the seat cushion. The volume of the speakers is set to a low level to both encourage the child to keep their head in the correct position and also to minimize the risk of hearing damage from loud music. Should your child need to be sat at an angle, seat wedges are available. These can either be placed underneath the seat to change the angle of the complete car seat, or fitted on top of the seat cushion to provide a variety of seating angles. The car seat can be fitted to the car using one of two methods. As with most high-street car seats, this special needs car seat can be fitted simply by using the car’s own 3-point belt system. Impact shields are built into the seat to aid in the comfort and safety of the child if it is fitted using this system. Alternatively, it can be supplied with an integrated ISOFIX/Seatfix attachment, which uses International Standards Organisation Fix (ISOFIX) arms to keep the car seat in place. It is important to ensure that you still use the car’s own 3-point belt. Most cars are now fitted with ISOFIX points when they are manufactured. Please note the ISOFIX points on Nissan cars manufactured prior to 2013 may be unsuitable. The Recaro Monza Nova 2 Reha can be turned into a swivel car seat with the addition of an ISOFIX turning plate. This allows the car seat to be turned to face the door so you can lift your child straight into the seat and then swivel to face the front. It can be easily configured to turn either to the left or the right and so be used on both sides of the car. Please note that the ISOFIX turn table cannot be used in conjunction with the ISOFIX/Seatfix version of the car seat and that the car’s own 3-point belt must still be used and, with either version/configuration you may also need to remove the passenger seat headrest. 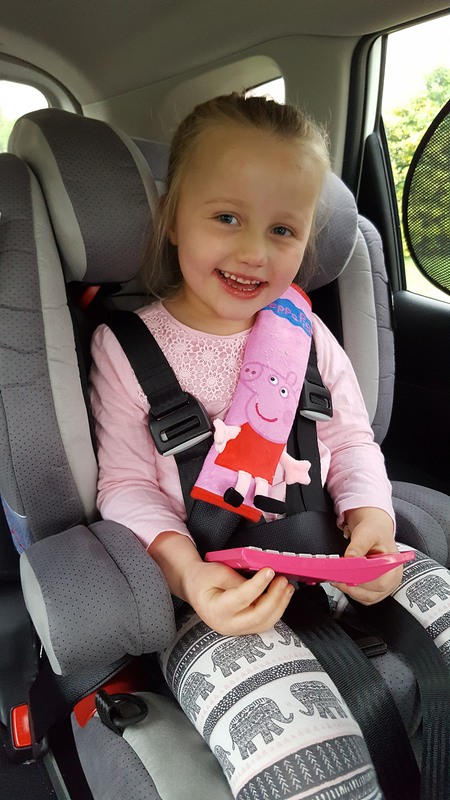 When securing any special needs car seat into your vehicle, it is important to familiarise yourself with the correct fitting instructions before use. The Recaro Monza Nova 2 Reha Car Seat is made from a mixture of materials, including polystyrene, polyurethane, and polypropylene. This is to ensure both durabilty and as a means of providing extra shock absorption in case of impact. The fixed side wings help provide impact protection to the hips and the antistatic side pads reduce forces on head, neck and shoulders by up to 30% in case of a crash. The seat cover is made of a tough but soft suede-feel material, which is fire retardant according to British standards. The seat cover is removable and machine washable. The special needs car seat has been successfully tested according to ECE 44/04, Approval No. 04301220.